We will transform Locust Street on the New Mexico State University campus into a vibrant pedestrian street fair, highlighting a diverse array of artists, entertainers, food vendors, jewelry, snacks, and sweets unique to Southern New Mexico. The purpose of Peek of Las Cruces is to create a wholesome community event with a family atmosphere for campus residents, students, faculty, and staff to learn more about the businesses, places, and activities in and around Las Cruces. It is free and open to the entire community. Individual students and student groups interested in volunteering are always welcome. 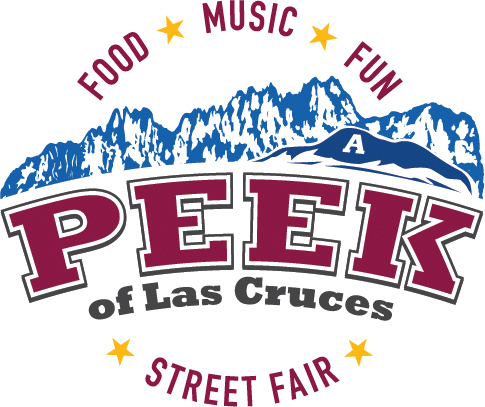 Vendor registration for the 2019 Peek of Las Cruces Street Fair will open soon! What is Peek of Las Cruces? An event that brings together NMSU and Las Cruces with food, fun, and music! Peek of Las Cruces is hosted by NMSU’s Student Success and Enrollment Management division. Questions? Contact us.